Ceedub takes its act on the road this week with their first trip to the mainland where they will take on the storied Meraloma club at Connaught Park. 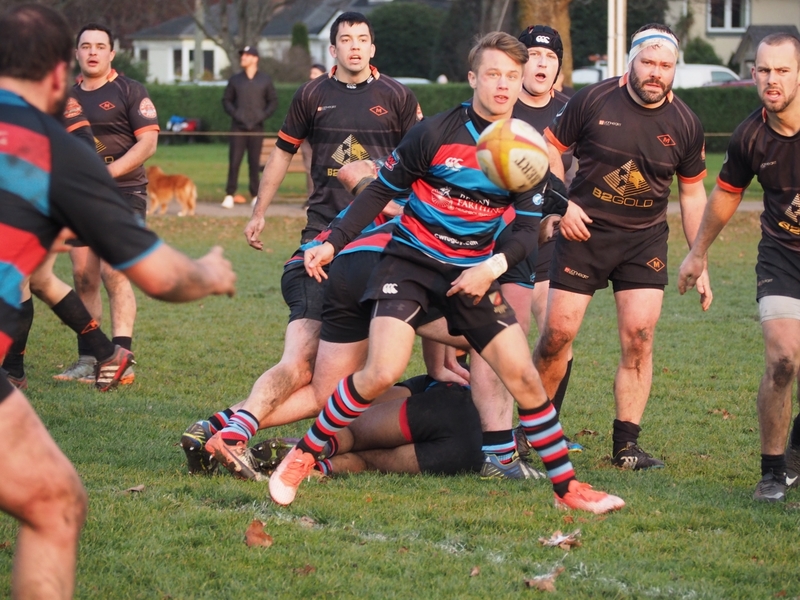 It is a tale of opposite ends of the ladder, with CW tied for second spot and games in hand and a 6 – 0 record and Lomas as cellar-dwellers at 1 – 6. This fact alone should be a pointer HOWEVER, the Loma has had many very close results but unable to seemingly get over the second half hump, thus respect should be given and caution the watchword. Last week they ran a much improved Rower to a 10 – 14 score line. The Lomas have some seasoning in their pack with names from the past, hook and captain, Dan Fumano, alongside Moriarty and Josh Clarke, the well respected and experienced #8. The backs, apart from evergreen Shawn Mercier at #15 these days, are an unknown group to this writer. Should CW maintain their patterns and patience the win should be forthcoming. CW’s defensive record of having only 84 points scored against in six games is impressive and it has been apparent that each man has taken considerable pride in his ability to make his own tackle and this reliability has certainly aided team defense. Captain Stewart the face of the franchise, will again lead a pack that has a few shuffles in it this week. 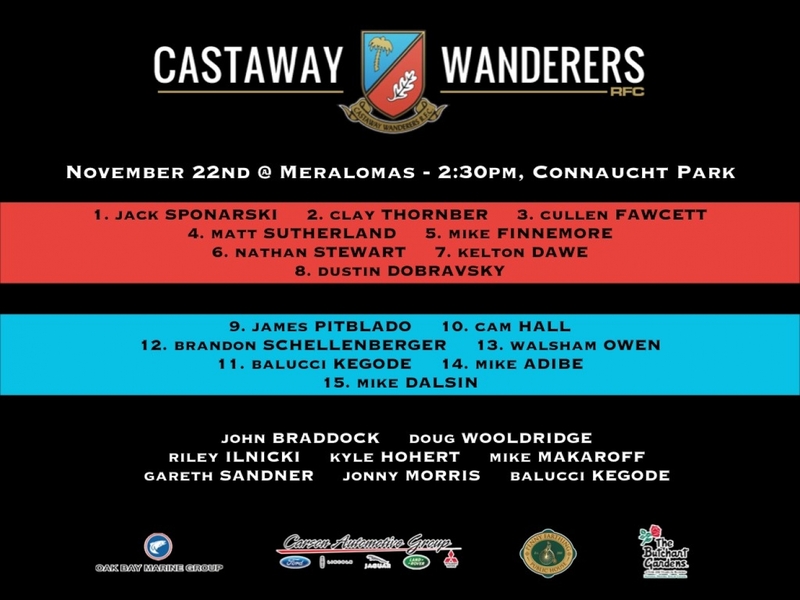 Cullen Fawcett will start at TH and Suddsy comes into the engine room to partner big Mike with the glaring omission being Braddock who has been a constant, so lots on the shoulders of Burger and young Sponarski in the FRF. Sutherland is a quite but very effective player who is reliable and is deserving of this start. The back row of Dobravsky, Dawes and Stewart is a handful for anyone, with Dawes having a very noted season to date. The backs are unaltered with the exception of Kegode earning his spot and Logan moving to the pines. Logan was good last week with plenty of chances but could not get across the line and possibly a reason for the “rest”. If this man was to really trust his finishing ability he would be a constant in selection. It is a quality bench which has been a determining factor in recent tight games. The Reserves will face an unbeaten Lomas team. This is a bit of a conundrum to this pundit with a seeming massive disparity between the club’s two grades. When will the day come for Lomas to start moving what are obviously some very good players to their top grade? We know ‘Jab’ Sinclair, in his second season as the Head Honcho at Connaught and I’m sure he has his reasons, maybe as simple as the fact that the Twos are a group of younger players. No matter, the question is, can the visitors give them a run. I believe they can. It’s a pretty fair squad travelling with the most visible unavailability being Anderson. We saw a great effort from Horton last week as a newcomer ‘replacement’. Hohert is back with a vengeance and will have a point to prove after last year’s semi-final loss to this club. Makaroff is hot and Captain Ilnicki getting closer to old form each week – go, Miracle Man. The backs will really be the make or break of the outcome. A group which has shown both the good, the bad and the ugly of matters this season. There simply has to be confidence and each man doing his job, particularly on defense for an option of success. We wish the Divvies well, go, CW! Our Premier Women are home to Cowichan at 11:00 a.m. at The Park. This team is going gang-busters atm and will be hard to keep under wraps. We don’t have a selection but will go out on a limb to predict a win in this the final match of this ‘Development Half’.